People have created many beautiful and functional tables, benches, and workstations using Bad Goat Forest Products. Below is the former U.S. ambassador to Afghanistan speaking to Montana high school students at Inspired Classroom from a lectern made from local birch. 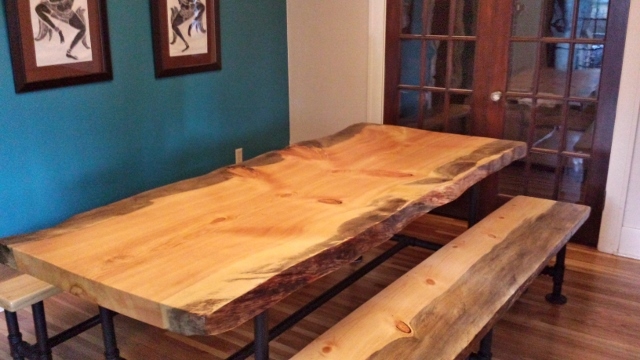 The tables are made from local blue pine. Read about this event in the Missoulian. 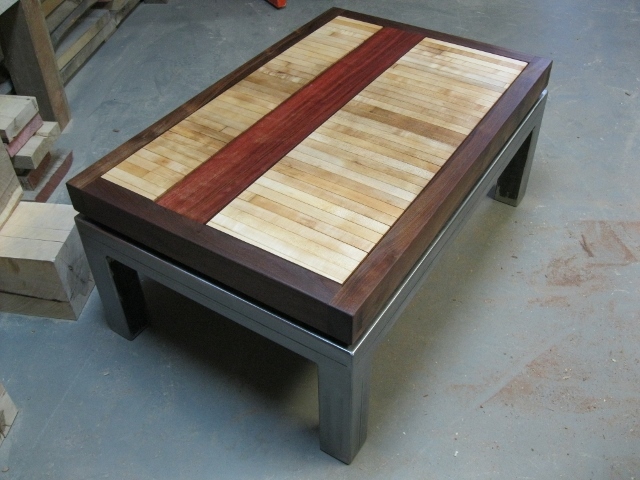 Check out the work by Grant Creek Woodcraft with one of our benchboards. 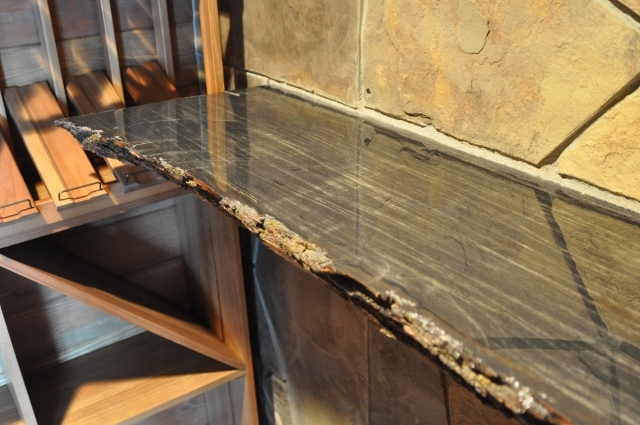 This Norway maple slab of ours, expertly finished by our friends at Burnich Frame and Moulding , is a finishing touch in a wine cellar. Custom-made dining table and benches from locally-sourced wood. 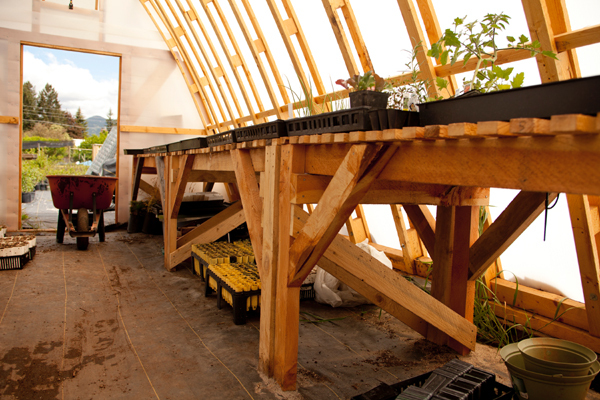 Potting benches created by Lucas McIver. 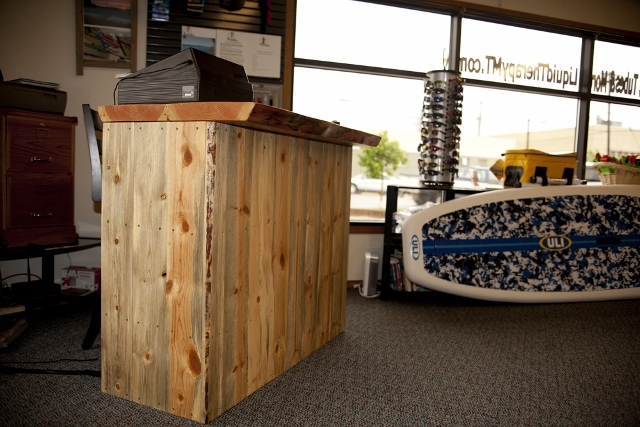 Register counter by Bad Goat Forest Products. 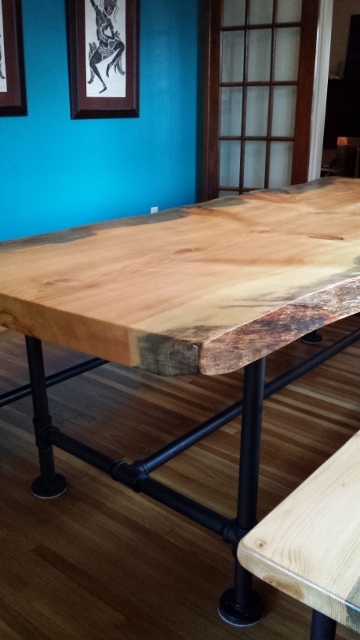 Structural Aesthetics created this beautiful table with local black walnut, reclaimed bowling alley wood, and eucalyptus on a custom steel base. 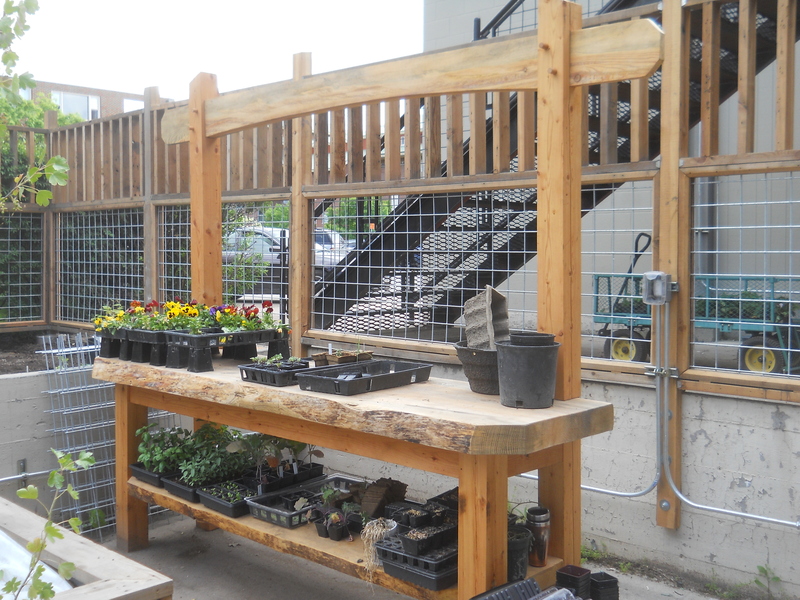 Potting table at University of Montana’s food garden.